As you age your body starts to breakdown. Without the proper care your body will deteriorate and small problems you had when you were younger will become major problems as you get older. Back and Neck pain that were a minor annoyance could become a debilitating problem if you don’t take care of yourself. According to a recent survey, 80% of people suffer from neck pain or back pain or back and neck pain during their lifetime. Most patients with musculoskeletal pain want to avoid surgery and nearly everyone has chosen chiropractic care to alleviate their pain naturally. Your back contains many, many ligaments, joints, muscles, and bones. When any of these pieces are strained or sprained, neck pain and/or back pain can happen. Besides accidents and sports injuries, some kinds of bends like picking up a paper from the floor can also have this effect. Psychological stress, obesity, poor posture, and arthritis can also worsen these back and neck pains; and internal issues like kidney stones, bone loss, blood clots, and kidney infections can also be part of the problem. 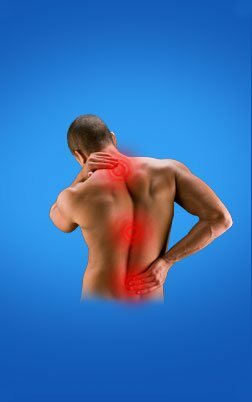 When your back and neck aches get severe, it can cause the quality of your life to suffer. People suffering from back and neck pain often complain about restricted body movements. The Palmer Institute of Chiropractic conducted a survey asking people with neck pain or back pain about their treatment choices. Nearly 57% of people preferred a chiropractic solution over conventional treatments for their back and neck pain. Palmer College of Chiropractic found 29% of Americans choose chiropractic care as soon as neck and back aches occur. For a lot of people, chiropractors are the first stop in treating these kinds of musculoskeletal pains. A certified and well-educated chiropractor will suggest the patient have a physical exam. Depending on the outcome of this exam and the severity of the condition, the DC (doctor of chiropractic) will determine the best treatment program for you and he will adjust your spine to relieve your back and neck pain. The methods used are absolutely safe and natural, no drugs, surgeries or side-effects. Your DC may also suggest rehabilitative exercises and diet changes to help you recover quickly from your pain.